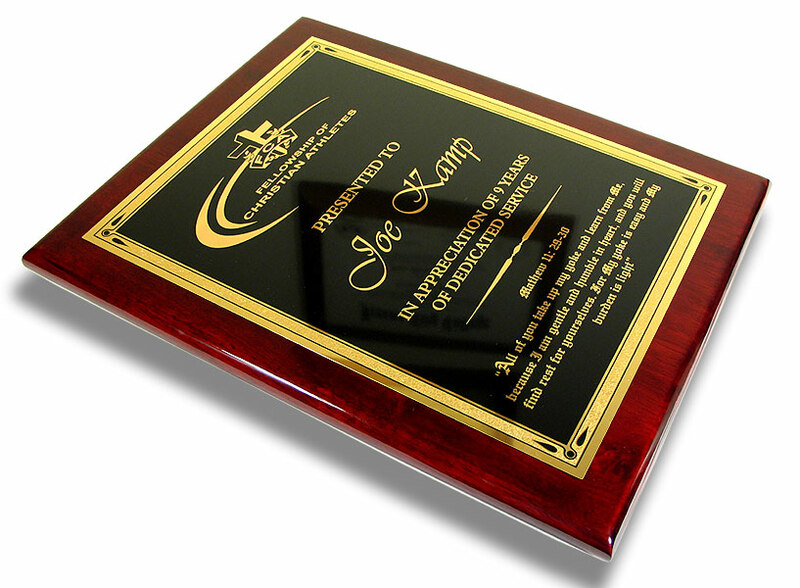 * Polished brass plaque plate mounted to an elegant Rosewood or Ebony Piano Finish plaque. 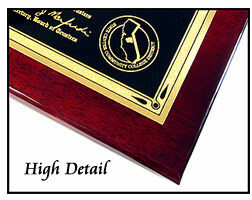 One of our more popular recognition plaques, these are truly high quality plaques with a high sheen. Great as an award, dedication, recognition, or commemorative plaque. Each brass plaque is permanently engraved. 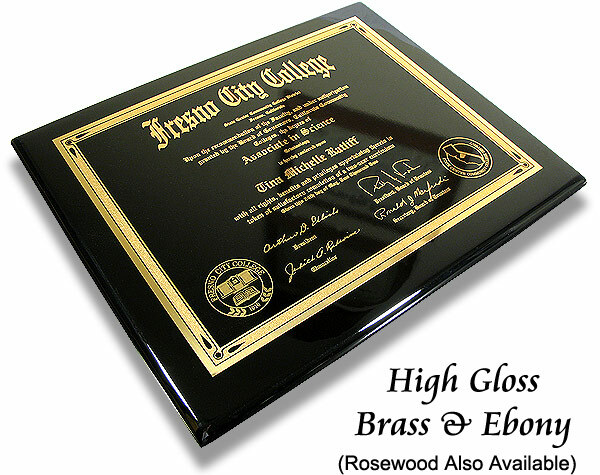 * About the Materials used: The brass plate has a gloss black coating which when engraved reveals the polished brass. 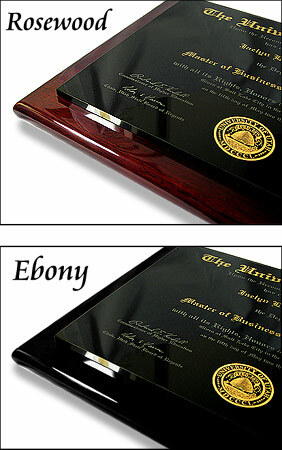 The attached Rosewood or Ebony piano finish plaque has a high gloss finish. 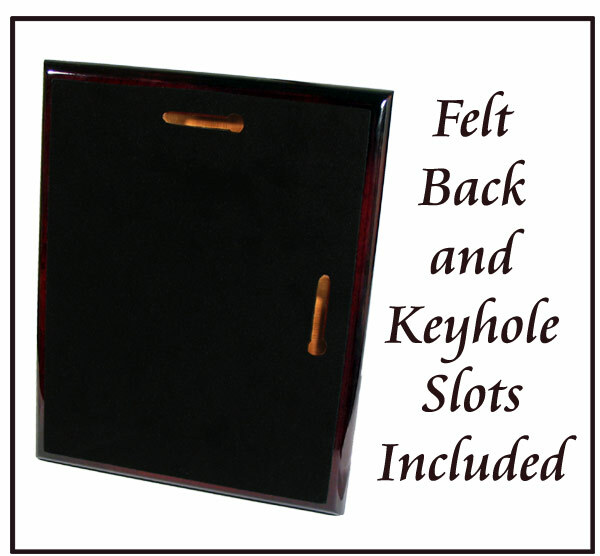 Plaques come with black felt and keyhole slots on the back for wall hanging.